Less Happ. (as @aspinaci pointed out). And Holder couldn’t hold them. Green made their lead grow. Lot of play on words last night. Another loss. Stopped by the rain after 6.5 innings — the Yankees could not come up their last 3 innings — a third of the game. Tough loss. 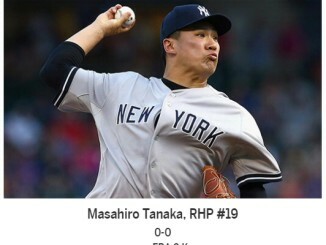 After 3 innings, this looked like it was going to be an easy Yankee win — Yanks were up 4-1. Happ (who never seems to have a clean inning this year, as was pointed out on Twitter) was getting by. 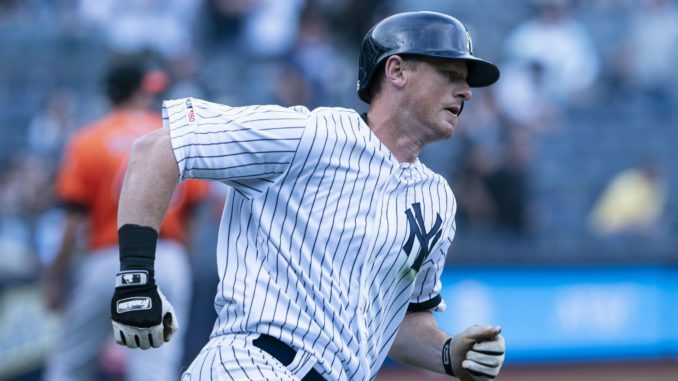 DJ LeMahieu (2 for 2 on the night) — a hero again — drove in Aaron Judge and Luke Voit in the 1st — but Gleyber Torres got thrown out at 3rd — another Yankee baserunning blunder. 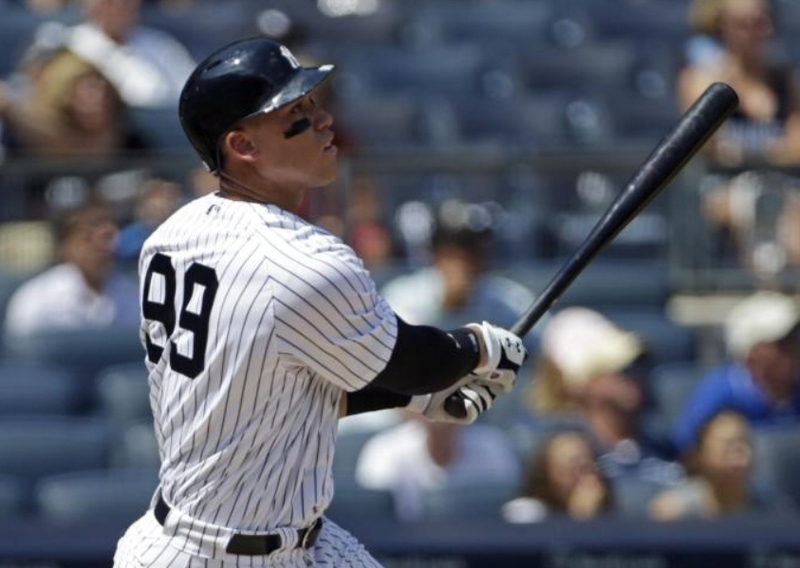 Austin Romine singled in Clint Frazier (1 for 2 with a walk on the night) in the 2nd, and Aaron Judge hit a line drive for a sac fly — scoring Gio Urshela (2 for 3 on the night) and giving the Yanks that 4-1 lead. Brett Gardner JACKED a high arcing home run to right to give the Yanks a 5-3 lead in the 4th. Nice to see Gardner do that — it was like the Gardner of 2017. DH Yonder Alonso‘s 2-run homer in the 5th tied the game. Leftfielder Eloy Jimenez hit 2-run homer off Jonathan Holder later in the inning put the White Sox ahead 7-5. Eloy Jiminez and catcher James McCann hit solo Homers off Chad Green in the 7th to put Chicago ahead 9-6. In between all that the Yanks got to within 7-6 on an RBI single by Gio Urshela in the 6th, He is pesky. And then the rains came hard — it had been raining all night, even before the game — and they were playing all night in a drizzle or steady rain. 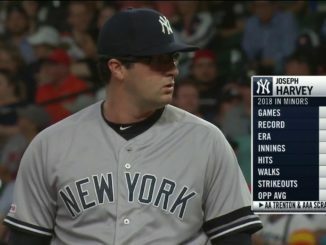 Don’t look but Greg Bird went 0-3 with 2 strikeouts and is now batting .194, and Luke Voit went 0-3 with 2 strikeouts and is batting .184 — although Voit walked and scored a run. Before the game it was announced Dellin Betances had not thrown well in a simulation — there are bone chips in his elbow — and he is being given cortisone and will be out for 6 or 7 weeks. Add him to the injury list of Gary Sanchez, Miguel Andujar, Giancarlo Stanton, Luis Severino, Aaron Hicks, Troy Tulowitzki, and Didi Gregorius. CC Sabathia is due back today.